Documentation of the professional welding course, 2015, photo courtesy Adrian Kolarczyk. Adrian Kolarczyk’s 311-G project began as part of his work toward a bachelor’s diploma at the University of Arts in Poznań. The artist used his time at the academy to study welding, learning a concrete and lucrative trade while continuing in his role as an art student. His activity was evaluated by the teaching staff at the University of Arts, and Kolarczyk passed a two-stage exam certifying him to work as a welder. The exam was held in the presence of a professional commission of welders that evaluated his skills: the quality of his welds, his proficiency with the tools of the trade, and his theoretical knowledge, including occupational health and safety standards. His work was also assessed by artistic reviewers who evaluated the “quality” of his artwork by its performance, aesthetic value, and symbolic potential. 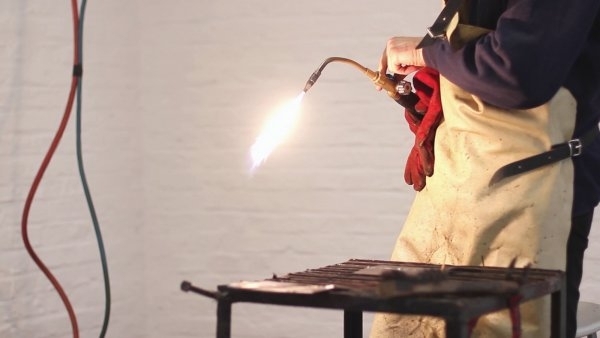 The welding course was thus defined simultaneously as a work of art – institutionally “framed” via the authority of the art academy and its procedures – and as a non-artistic competence. Mastering a manual trade by learning new skills enables the artist to function beyond the world of art (see: 1:1 scale). The material products of the course, Kolarczyk’s welding samples, recall the twentieth century visual languages of minimalism or arte povera. 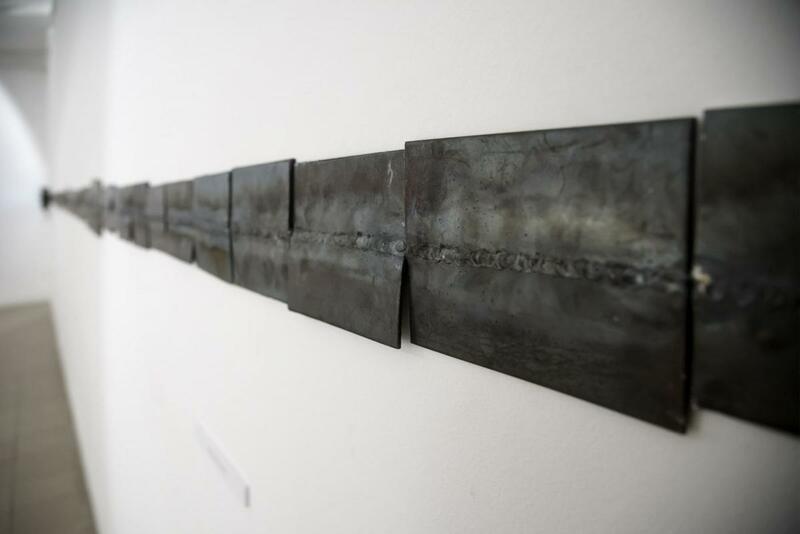 The report presented in exhibition consists of welding samples and video documentation of the artistic project 311-G loaned to the Museum of Modern Art in Warsaw for the duration of the exhibition. Courtesy Adrian Kolarczyk. Adrian Kolarczyk, 311-G, 2015, photo courtesy Krzysztof Tomasik and Bałtycka Galeria Sztuki Współczesnej, Słupsk.